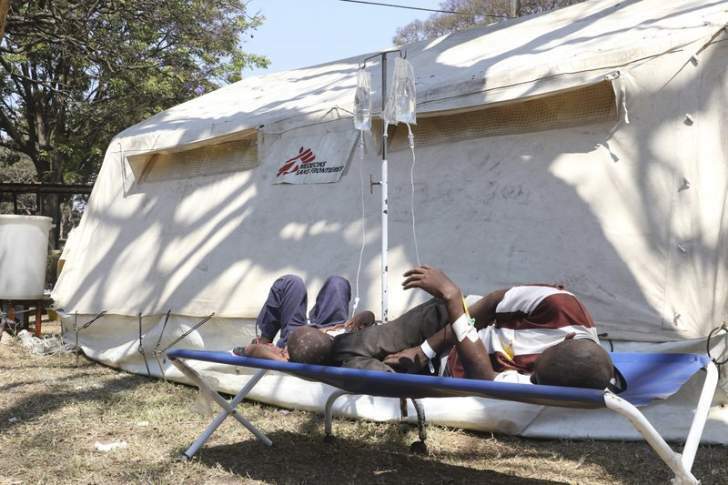 A fresh cholera outbreak has claimed three lives from 10 cases recorded since Tuesday in the Chomubobo mining area in Mberengwa, Midlands province. The affected patients are quarantined at Mnene Mission Hospital. Midlands' provincial medical director Dr Simon Nyadundu confirmed the outbreak. Dr Nyadundu said government has since set up two cholera treatment camps at Chomubobo and Mnene Mission Hospital. He said the first case was recorded on Tuesday. "I can confirm that there has been a cholera outbreak in Mberengwa. Two of the affected had passed on by Friday, while another one died this morning (Saturday). "We have tested the affected people and it has been confirmed that it is cholera. "The affected people are admitted at Mnene Mission Hospital, where we have set up a treatment camp. We are setting up another camp today (Saturday) in Chomubobo area," he said. Government is still searching for the source of the waterborne disease. Dr Nyadundu said: "Chomubobo is a mining area. As you are aware, there was a cholera outbreak in Mt Darwin in the mining area of Mukaradzi. "These artisanal miners are very mobile and it could be possible that the cholera came from Mt Darwin. "The area, just like any gold-panning area, has poor sanitation, unclean water sources. Some of the cases were recorded in surrounding communities." Mberengwa North Member of Parliament Tafanana Zhou said local communities were frantically working to contain the disease from spreading to other districts. "We are monitoring the situation in Chomubobo and we are making frantic efforts to combat the disease. We do not want it to spread to other communities or neighbouring districts. We want to urge people in Mberengwa to practice good hygiene and take precautionary measures," he said. There are also fears of fresh cholera outbreaks in Chiredzi.